"Thanks for all your help in sourcing the pens and USB's. They look professional, are great value for money and just what we needed to promote our business. As always your support and expertise is highly appreciated." Whether you're looking for promotional pens, mugs, USB sticks and umbrellas, or simply browsing for ideas, OMM can help you generate your corporate branding at the best possible prices using products that are guaranteed to get you noticed. Take a look at our extensive online promotional products range. You'll find a great selection of promotional items that range from budget options to elegant executive gifts. 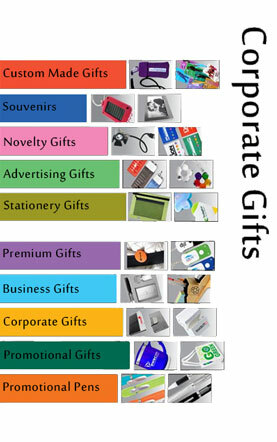 Our wide selection of advertising gifts ensures you'll be able to find exactly what you're looking for to promote your business. You'll find promotional keyrings, custom T-shirts, conference folders and much more. We specialise in customised promotional products, so you can source the marketing tools you need with hardly any effort required. We pride ourselves on our excellent customer service and take care to ensure that your experience with us is second to none. Our dedicated and helpful team will work with you, from quotation to delivery, to deliver full satisfaction on both your promotional products and our service. For-low cost promotional products matched by great service, call now on 020 7536 2310 or email sales@omm.co.uk for a FREE, No Obligation quotation on all your promotional products needs. Whether you are looking for an advertising gift to mail out to your prospects, corporate gifts for staff retention or a seasonal give away for your existing customers, we can provide a promotional product to suit all your needs. We take every care to ensure that your requirements are met. If you wish to discuss your promotional product requirements, please do not hesitate to contact our experienced team.